The audio and TV studio configuration consists of a camera system of three Panasonic AJ-HPX3100 camcorders and Panasonic 300StudioPlus on Miller Arrow 55 pedestal tripods. One of the cameras is utilized by an EZ FX 18 foot camera crane providing simulated aerial shots. 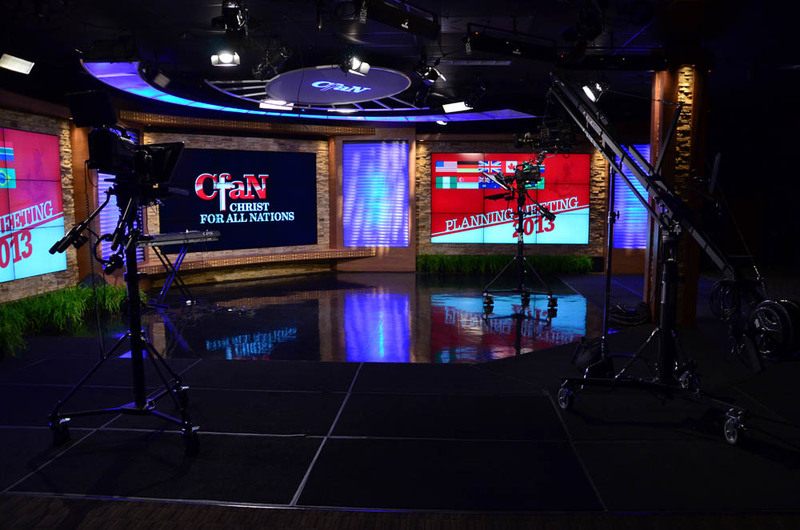 The background set consists of three video walls (3x3), each one with a dedicated TV-One C2-2255A video scaler in which the client/producer can send an HD-SDI signal from the control room Ross NK 16x16 HD-SDI router or a computer DVI signal at the wall location. All cameras can be packaged for road trip productions. 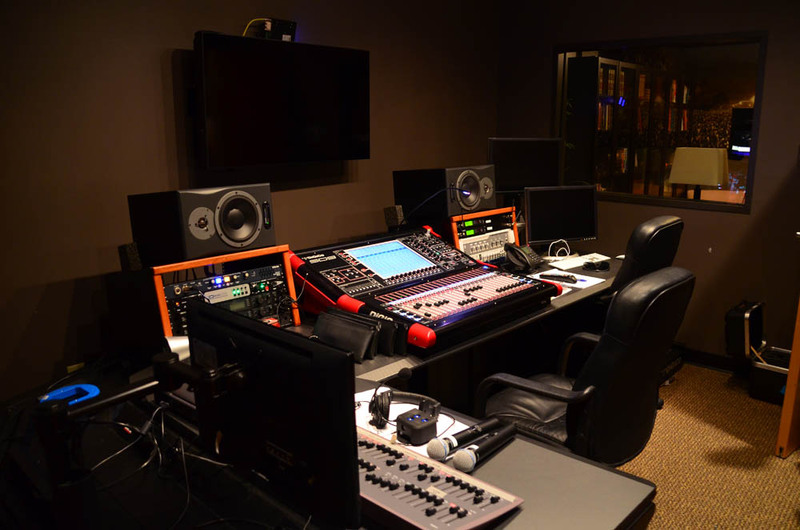 In the audio control room there is a DiGiCo SD-9 to provide audio mix from Shure studio microphones and playback for recording and streaming purposes. The audio signals are sent to the Ross NK 16x16 router for distribution. The audio mixers can also be packaged for road trip production. As we tackled the control room we needed to accommodate a full staff production crew including Technical Director, Director, Graphics Operator and Video Engineer. We did this by installing a custom Winsted Slim-Line console. Three Samsung 55 inch LED monitors with assigned router outputs provide most of the confidence and primary video signals to the production staff. 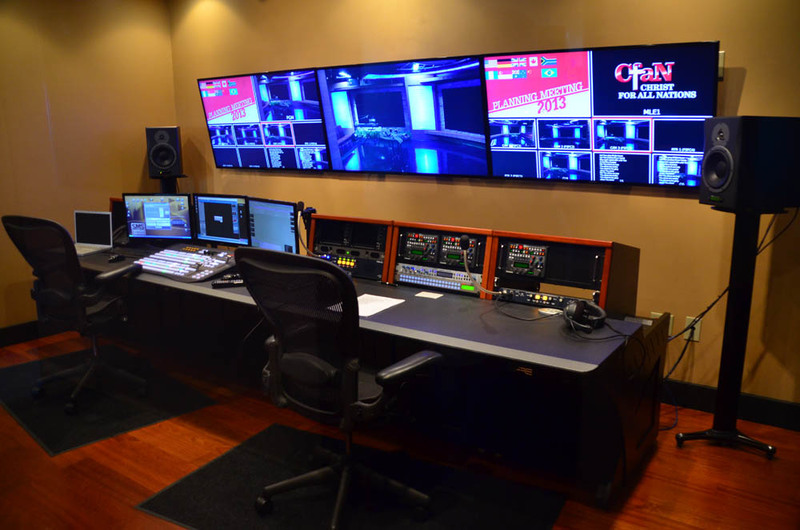 For production, a new HD system was designed and installed including a Ross Carbonite 2 ME HD video switcher with Ross Expression graphics system. 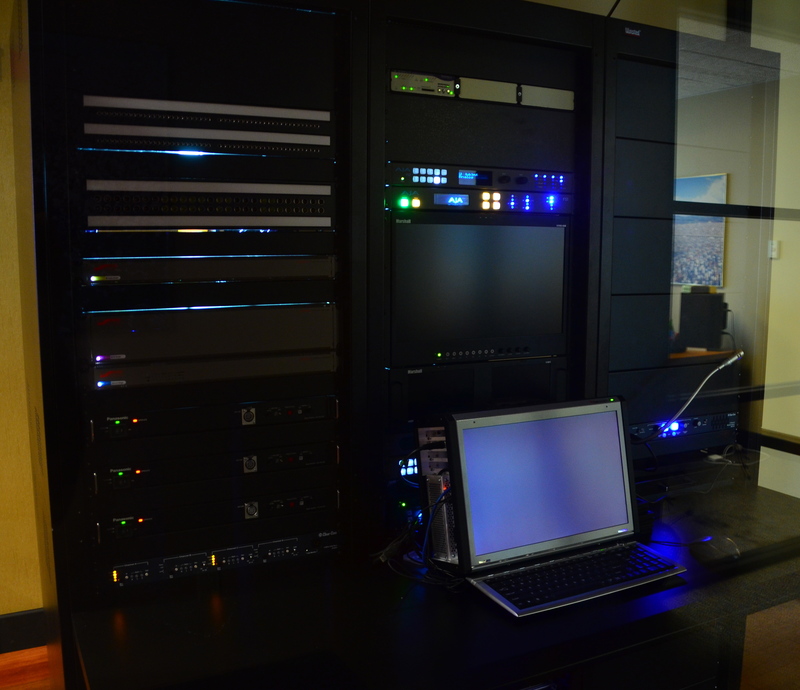 This includes a Ross SoftMetal file server system and 16x16 Ross audio and HD matrix router. We used a Clear-Com MS-704 four channel intercom system as well as a Clear-Com DX200 wireless intercom system. Other equipment included an audio video patch bay system, AJA Ki Pro hard disk recorder, AJA FS2 frame synchronizer and Marshall scope and monitoring system.